Join art historian and writer Dr. Nada Shabout for a conversation that views Nicolas Moufarrege’s work within the broader context of cultural traditions in Beirut and the Middle East. 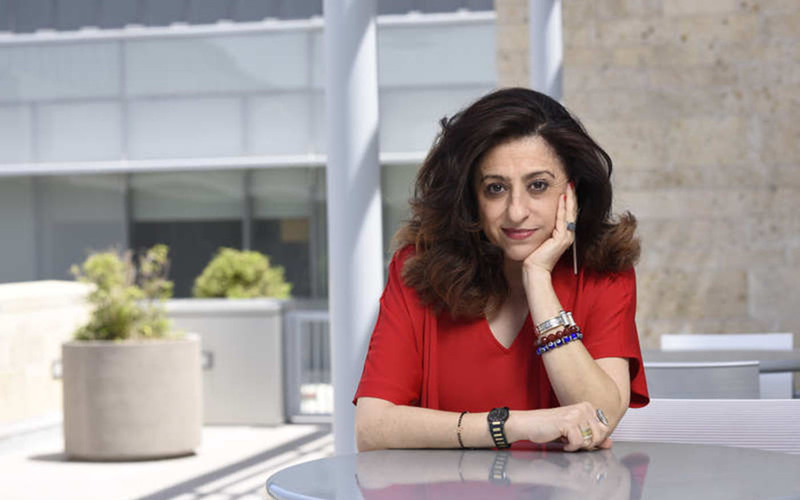 Dr. Nada Shabout is a Professor of Art History and the Coordinator of the Contemporary Arab and Muslim Cultural Studies Initiative (CAMCSI) at the University of North Texas, Denton. She is the founding president of the Association for Modern and Contemporary Art from the Arab World, Iran and Turkey (AMCA) and founder and project director of the Modern Art Iraq Archive (MAIA). She was the Consulting Director of Research at Mathaf: Arab Museum of Modern Art, Doha, Qatar and the Editor-in-Chief of the Mathaf Encyclopedia of Modern Art and the Arab World. She is the author of Modern Arab Art: Formation of Arab Aesthetics, University of Florida Press, 2007; co-editor with Salwa Mikdadi of New Vision: Arab Art in the 21st Century, Thames & Hudson, 2009; and co-editor with Anneka Lenssen and Sarah Rogers of Modern Art in the Arab World: Primary Documents, part of the International Program at the Museum of Modern Art, New York, New York, 2018.